Following the issue of the first stamp in the world (the Penny Black in 1840), stamps became one of the most desired collectable objects in the world. Stamps are not only collected for historical and cultural value, but also because they can earn the lucky owner a lot of money. Some are valuable thanks to printing errors, others because of their short lived existence and rarity. Our stamps auctioneers have shared the top 10 most expensive stamps in the world and explained why each is so valuable. Issued in the United Kingdom in May 1840, the Penny Black was the first adhesive stamp in the world, which is why this stamp is considered so valuable. 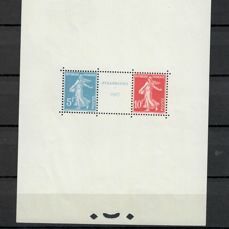 Although not the rarest or most valuable collector’s item, they set the path for the future of British postage stamps. 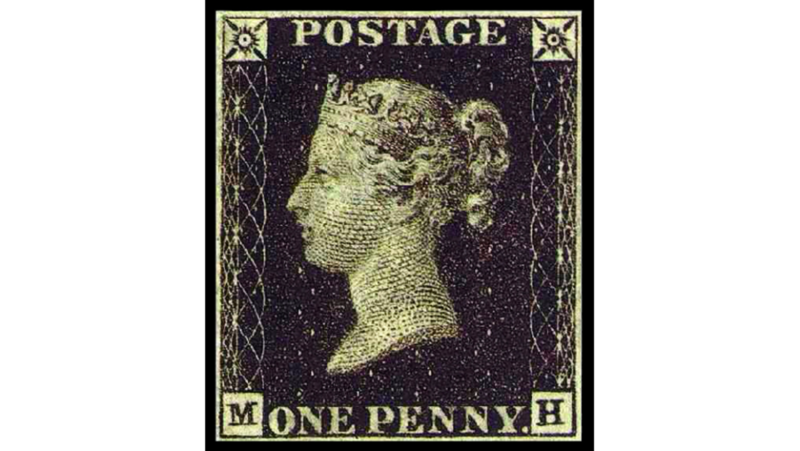 The Penny Black carries a picture of Queen Victoria II and does not show the country of origin, as is custom today. Despite there being plenty of Penny Blacks for sale, an unused one can earn a lucky owner around €3,000, making it a very popular amongst collectors. Keep an eye on our stamp auctions, as now and then we have a copy up for auction! The Inverted Swan is one of the most famous and unique stamps in the world, not because of its beauty, but rather because it was one of the first invert errors in the world. 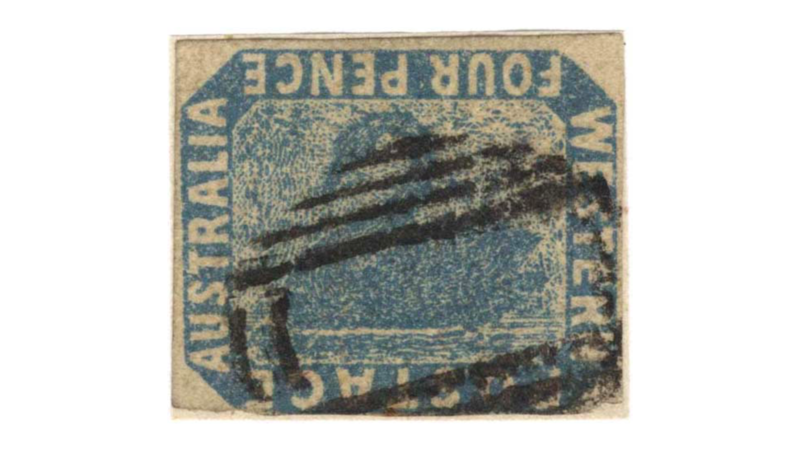 The Inverted Swan was issued in Perth, Australia in 1855 when a complicated process of producing these stamps through lithography was followed. However, contrary to popular belief, it is actually the frame that is inverted rather than the swan. 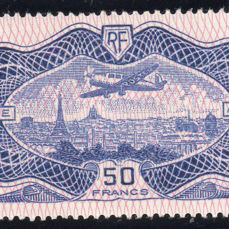 This famous stamp was last sold in 1983 for €35,500. The Red Mercury stamp is extremely valuable due to its rarity. 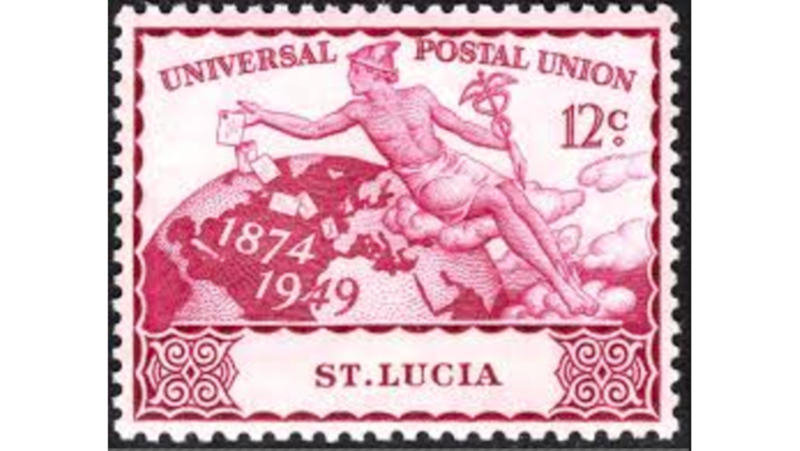 Rather than a postage stamp, the Red Mercury was used for mailing newspapers. These stamps possess an image of the Roman god and were printed in yellow, red and blue depending on a number of newspapers in the bundle. However, the Red Mercury was short lived and was soon replaced, which is why so few copies have survived and why they hold such a high value of €37,000. Despite the cheap blue paper that the Hawaiian Missionaries stamp was printed on, these are amongst the rarest and most valuable stamps of all time, now worth around €39,000. 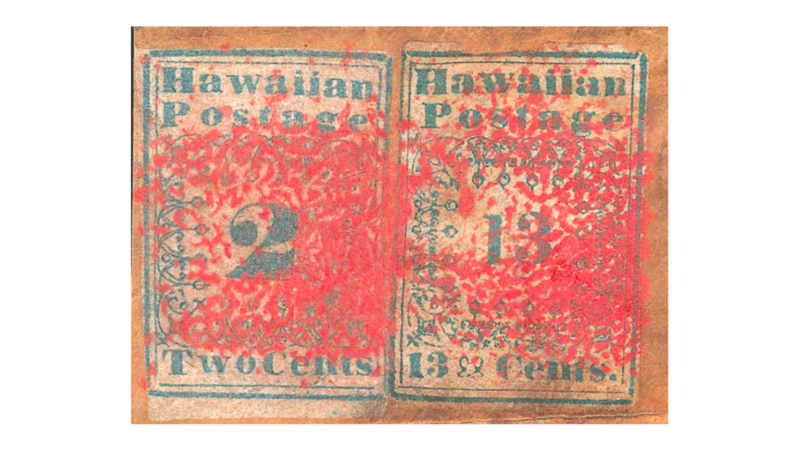 The Hawaiian Missionaries were the first stamps to be produced in Hawaii and were predominantly used in correspondence between missionaries, hence their name. 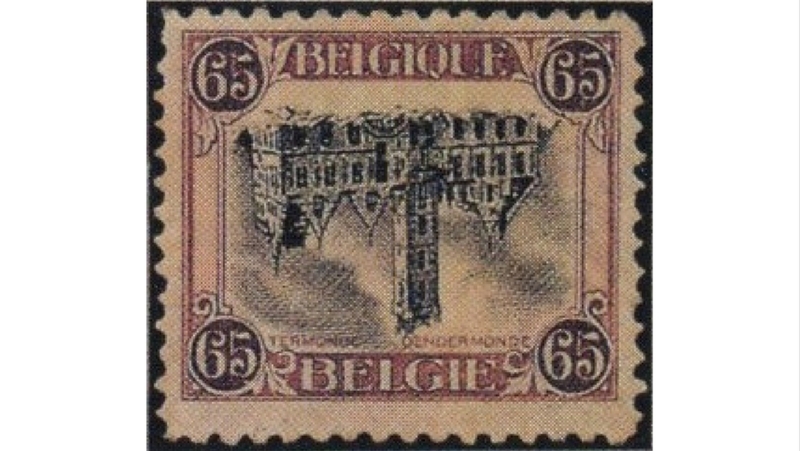 TheInverted Dendermonde, which showcases the town hall upside down, is Belgium’s greatest contribution to the printing errors. 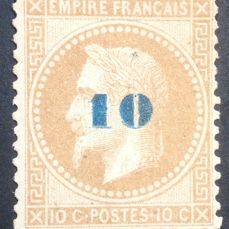 Although this error leaked through two sheets of the stamp’s first run and one pane of the second, only 17 are known to still exist. 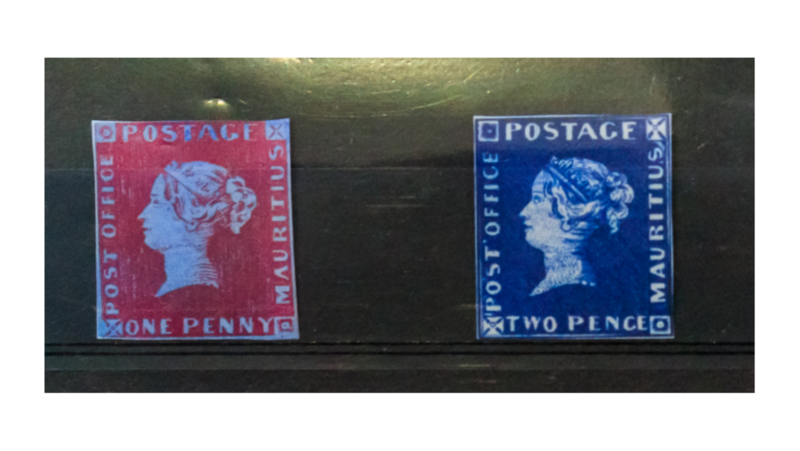 It is rumoured that two of these stamps were lost when a famous stamp collector was murdered in 1942. If you wanted to get your hands on the remaining few, it would set you back an estimated €75,000. 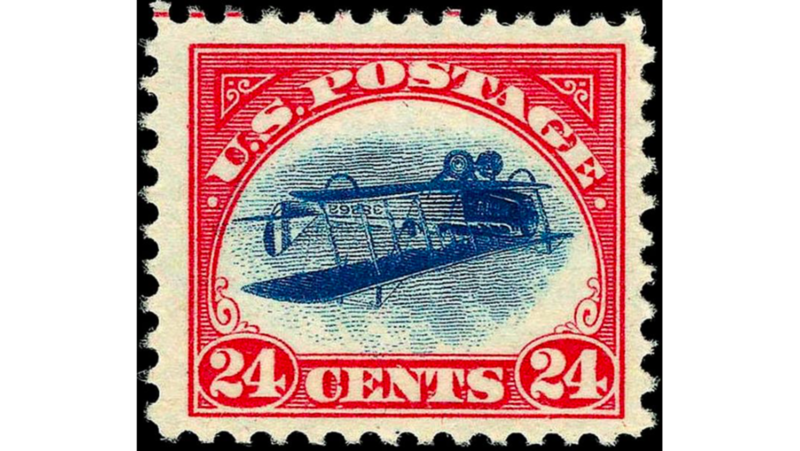 Another printing error is what placed the huge price tag on the Inverted Jenny. Now worth around €750,000, this stamp features an upside down image of the Curtiss JN-4 airplane and was issued in the US in 1918. Only 100 copies managed to make it through printing, which is why the Inverted Jenny is valued so highly. Rather than being valuable for an image error, the Baden 9-Kreuzer is a moneymaker due to a colour error. A 9-Kreuzer stamp has the face value of 9-Kreuzer and is coloured pink, whilst the 6-Kreuzer stamps were green. 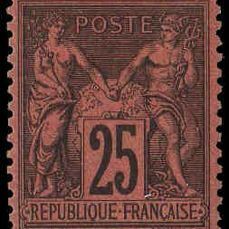 However, an error in printing meant that a batch of 9-Kreuzer stamps were coloured green, rather than pink. Only four are known to exist and one was sold in 2008 for over €1 million. 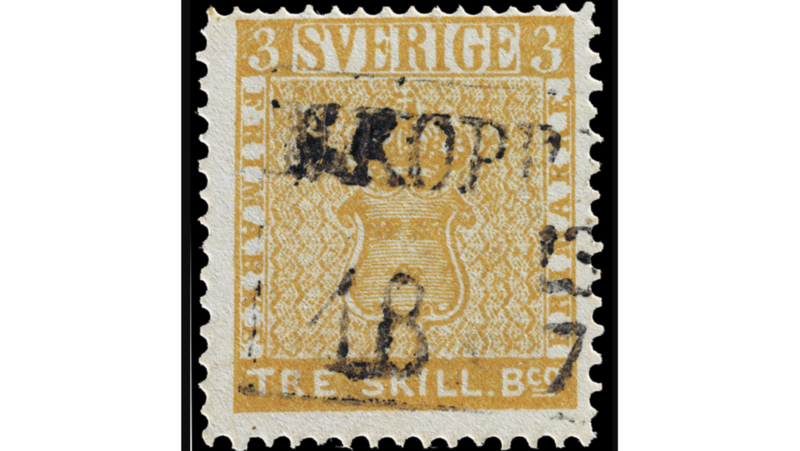 The Treskilling Yellow is considered one of the most expensive postage stamps in the world due to the fact it should be printed in a blue-green colour with the three-skilling print, but it was actually printed in yellow. 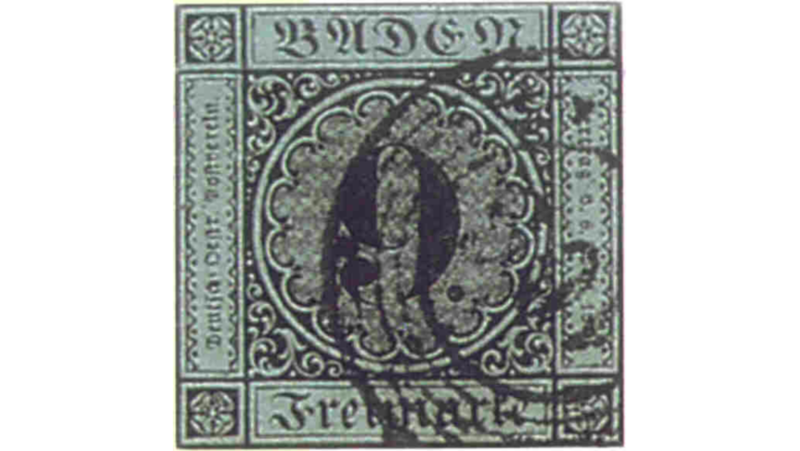 This Swedish misprinted stamp issued in 1855 is believed to be the only surviving copy to exist, which is why it is worth over €2.1 million. The stamp has been sold more than once, each time climbing with value, so it may be on it's way to taking the number 1 spot on our list in the future. The rarest and most valuable stamp in the world is the British Guiana 1c Magenta, which holds an estimated value of 9 million euros. 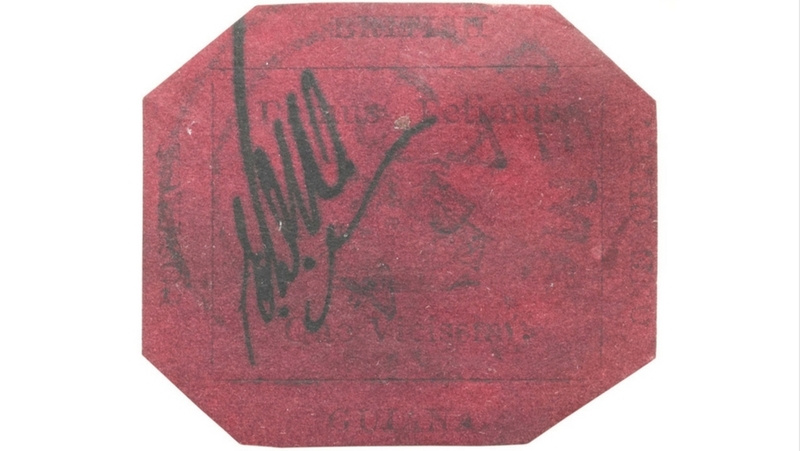 A delivery of stamps from London to British Guiana in 1856 had been delayed and so the 1c Magenta was created in limited numbers to ensure continued trade and communication on the island. Both the symbolic colony’s Latin motto and the fact that there is only one known to exist makes this stamp a real rarity. Obtaining one of these expensive stamps is every collector's dream. We'd love to make your dream a reality, but until one of these rarities comes up for auction, you can still find other rare and exquisite stamps to complete your collection at our weekly Stamp auctions. If you are lucky enough to own one of these rarities, or other stamps that you'd like to sell online, our auctions are a great place to start. It's free to register, simply sign up to become a seller, and our team of stamps auctioneers will be happy to take a look at what you have to offer. - How Much Is Your Stamp Collection Worth?